Here is our newest video. Hope you enjoy. Alumawood time lapse of before and after. We had to tear down a room enclosure that was leaking. 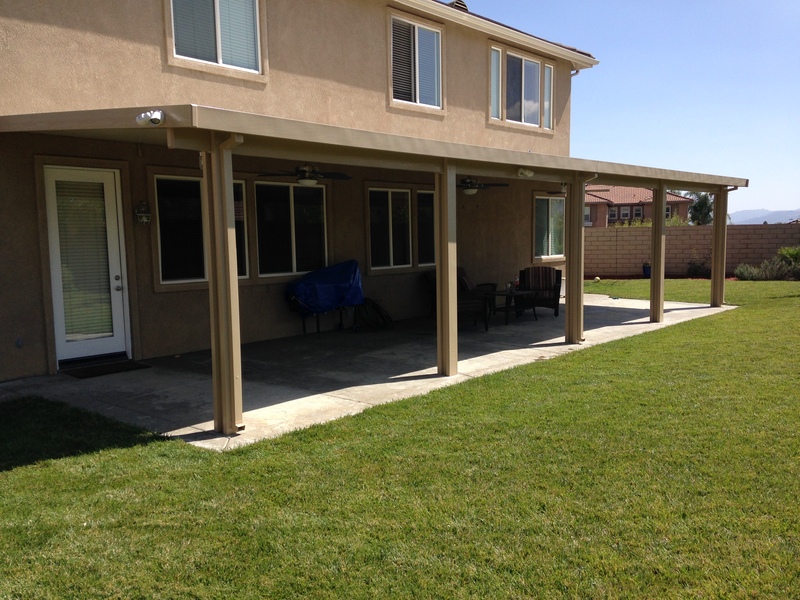 The customer just wanted to have their backyard back and open it up with a new patio cover. The tear down weighed in at 2.5 tons and took 2 days to get taken away. After that we set up our GoPro and had it take a picture every 60 seconds. We hope you enjoy the video and if you need an Alumawood patio cover then give us a call. 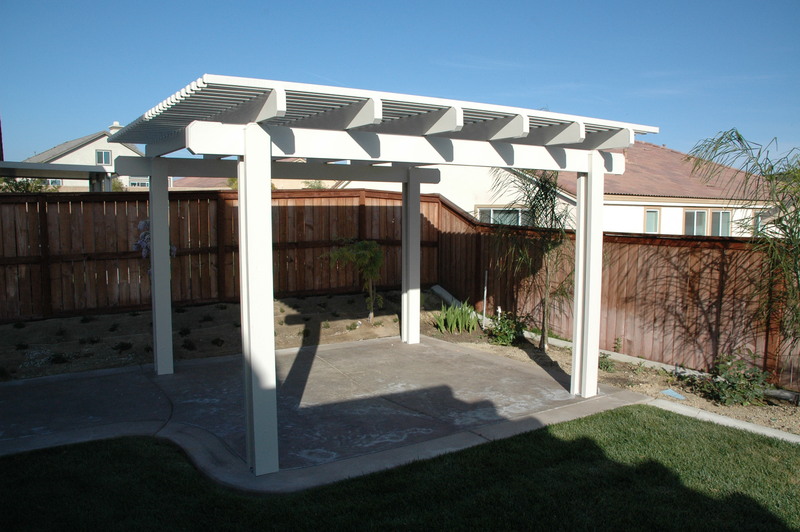 Here is an Alumawood lattice patio cover built with a nice circle radius. When we got to the house for the estimate the concrete was that exact same shape. At first I was worried that a circle would not only be difficult to built but I was hoping it would look good too. The customer was happy with the finished product and I drive by this patio a lot in my home town and am very proud that we built it. Hope you enjoy the pictures and video. This video is a solid Alumawood patio cover. This patio cover has fans, lights, outlets, and switches. 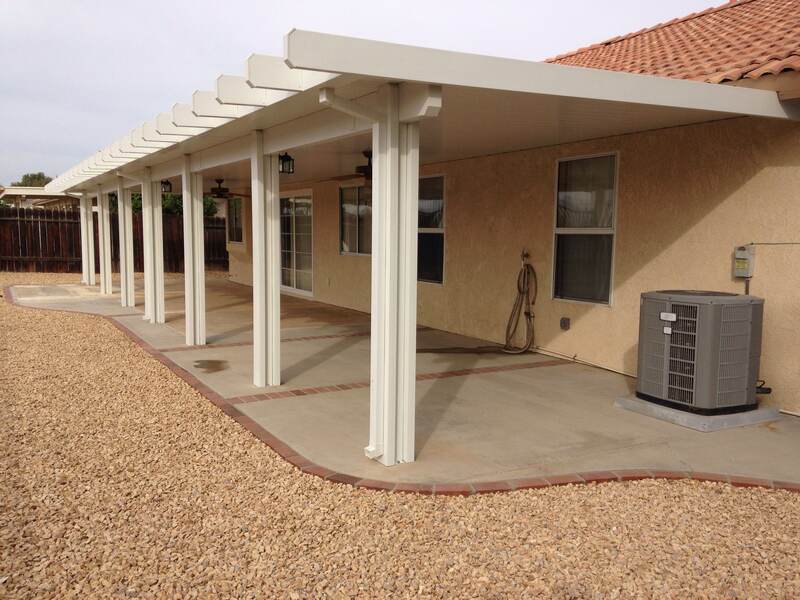 The colors on this patio cover are Desert Sand roof and Latte posts, header, and wrap. The dimensions are 14′ x 45′. Materials are 6″ flat panels, 3″x8″ header with steel c-beam. Post are steel clover leaf in 2′ cored footings. 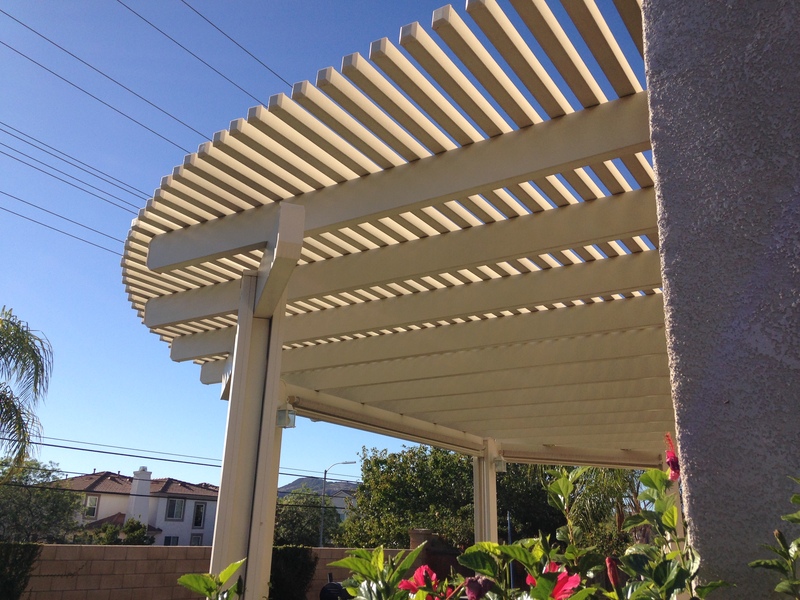 Time lapse video of an Alumawood freestanding lattice patio cover being built. 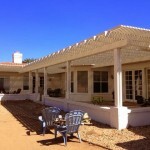 This is a 1000 square-foot Alumawood Laguna lattice patio cover video. It has double header beams and mitered end cuts. It also has 1″ spacing with 2″x2″ lattice tubes. 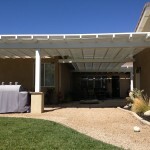 Double header beam Laguna lattice patio cover video. This has 1″ spacing with 2″x3″ lattice tubes and mitered end cuts. 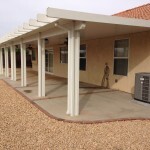 Materials are provided by Amerimax Building Products. 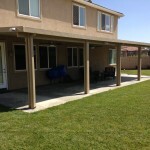 This patio was built by Classic Alumawood Covers. We will always be recording videos of the Alumawood patio covers we build. 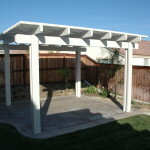 Each time we finish a patio we will upload the video with details on how it was built and what each patio includes. If a picture is worth a thousand words then a video is worth a thousand pictures. 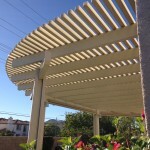 So keep checking back as we will always be uploading new videos of Alumawood patio covers. 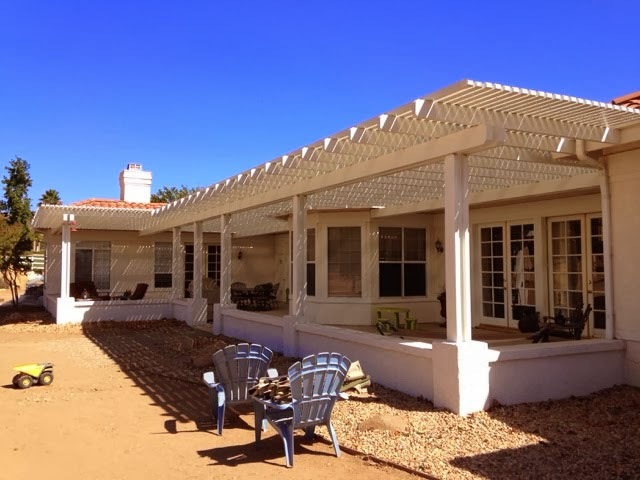 Hers is a backyard idea on how to change up your home with an aluminum wood embossed patio cover. This awning has fans with remotes, and lights on the posts. 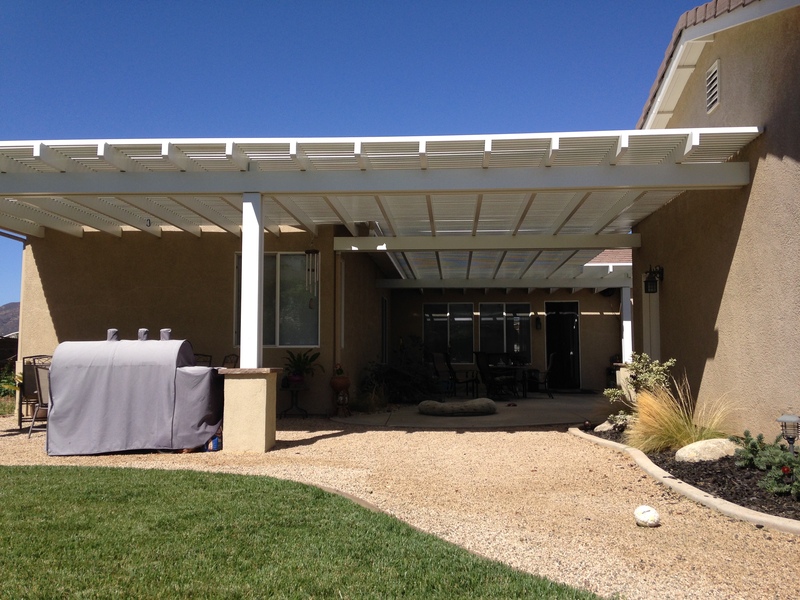 Patios can provide shade during the day and electrical lighting at night. Hit the like button if you like what you see. Thank you for watching a Classic Alumawood Covers.